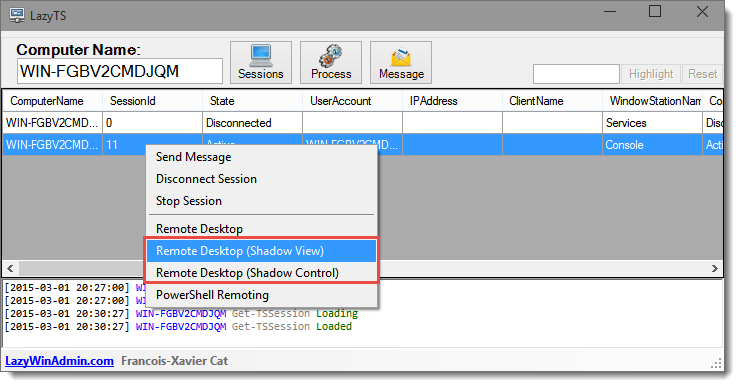 See this link for more information about RDP Shadow. LazyTS is a PowerShell script to manage Sessions and Processes on local or remote machines. 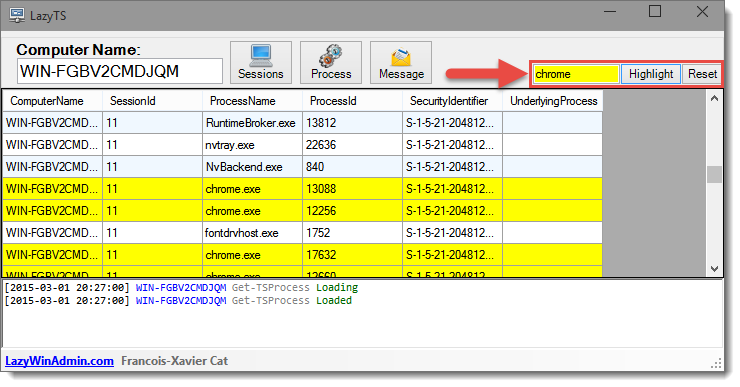 It also allows you to Disconnect/Stop sessions and Send Interactive message to one or more sessions. This tool can be download from the Github page. I also want to thank those who are sending me features request and reporting bugs ! This is greatly helpful !!! Merci! !